Pregnancy is a wonderful journey but for many women these nine months come with a few unpleasant bumps along the way. Although there are no magic bullets for ‘curing’ the typical digestive disorders of pregnancy, there exist several preventive remedies. So, read on and give the ‘soothing strategies’ a shot! You’ve surely heard of it: morning sickness is THE most complained about symptom of pregnancy and is due to pregnancy hormones kicking into overdrive. Morning sickness refers to the infamous duo ‘nausea and vomiting’ that usually affects around 50-75% of pregnant women at any time of the day or night (yep, it’s a misnomer!). Usually occurring in the 1st trimester, morning sickness often subsides by the 2nd trimester although it may continue to bother some unlucky mothers-to-be during their entire pregnancy. Due to the heightened sense of taste and smell that occurs during pregnancy, pungent odours (particularly those of cigarettes and certain perfumes) and strong flavours (like coffee or greasy foods) may repel you. Stay away from them. Consuming foods at room-temperature can help since their smell is not as strong as that of hot food. However, avoid listeria-prone foods such as cold meats, seafood, and leftovers that are more than 12 hours old. Large meals would burden your stomach and can cause vomiting. Never skip your 3 main meals and have 2-3 daily snacks to keep your blood glucose (sugar) levels constant — fluctuating blood glucose levels may trigger nausea. An empty stomach can cause nausea. Munch on some dry bread, biscuits or cereals before getting up in the morning. Slowly get out of bed and avoid jerky movements. Fatty foods take longer to digest and spicy ones may irritate your stomach. This will help prevent abdominal distension and will decrease risks of nausea. Ginger: Try some warm water with freshly grated ginger or add a little bit of fresh ginger paste to your stir-fries. Fresh basil, mint or fennel: Prepare a hot infusion with any of these herbs. Vitamin B6: Discuss the need for a supplement with your doctor. During pregnancy, high levels of the hormone progesterone relax the lower oesophageal sphincter (LES), the valve between your stomach and your oesophagus (your food pipe). When this occurs, the stomach acids rise back into your oesophagus, causing heartburn, a burning sensation in the centre of your chest and which has nothing to do with your heart. Moreover, the additional upward pressure that your growing uterus exerts on your stomach may also promote heartburn by pushing your stomach’s content into the oesophagus. An overly stuffed stomach can increase acid reflux. Gobbling down food can lead to indigestion. Take your time and savour your food; this will prevent overeating which would further exacerbate the heartburn. When you lie down with a full stomach, your food and gastric juices can more easily splash in your oesophagus. So, strictly no eating before going to bed as this is a recipe for heartburn. This will facilitate digestion and dissipate your fatigue. Avoid vigorous activity though as this will worsen your heartburn. Need to bend down? Very bad idea. Studies suggest that this habit stresses the body which, in turn, delays digestion, leading to increased heartburn. If your heartburn is worse at night, don’t eat or drink anything other than water 3 to 4 hours prior to bedtime. You don’t want to distend your stomach. Having small sips of water instead of large glasses can also help. Add some freshly grated ginger to some lukewarm water for a soothing drink. These vary from individual to individual, so there’s no need to avoid all of them. Simply identify your own heartburn causing foods. Below is a list of common triggers. High-fat foods lower the LES pressure — the stomach contents are more likely to rise back in the oesophagus. Did you ever feel stuffed after eating a greasy beef burger? Well, that’s because the body takes more time to digest high-fat foods. Moreover, fatty foods increase your stomach’s acid production. Chocolate, coffee and caffeine-containing beverages like soft drinks generate more stomach acid. Tobacco and alcohol not only harm your baby — significantly — but they also worsen acid reflux. Consider this a good time to quit. Your baby (and your stomach) will thank you. Acidic and highly-spiced foods appear to contribute to heartburn to a larger extent if you’re not used to such foods. Peppermint and spearmint oils also promote heartburn by decreasing the LES pressure. Keep these stomach acids where they belong! Raise your bed’s head or use several pillows or wedge-shaped pillows to keep your upper body slightly inclined. These will not place undue pressure on your abdomen and can help reduce reflux. Medications: Talk to your doctor about the need for an antacid or H2 blocker. Feeling like a hot-air balloon? Blame your elevated progesterone levels! These hormones make your digestive system go haywire by relaxing the smooth muscle tissue throughout your body. This slows down digestion, allocating more time for nutrient absorption. But this also triggers bloating and gas. Sip small amounts of water regularly; you need fluids to flush out your system. Make sure to check your urine for hydration status — it should be clear or pale yellow and colourless. Salty foods may enhance water accumulation. Take time to savour your meals; eating hastily can lead to gas build-up as you are more prone to swallowing air. Chew properly to give digestion a heads start (and for a happy tummy). These may be dangerous to your baby’s health and may also cause gas! Soft drinks — diet and regular — are a big No-No: they bring zero nutrients and can make you even more bloated. This will facilitate digestion and will help evacuate the gas. Pregnancy hormones strike again! But they’re not just messing around with you. To give extra time to your body to absorb nutrients and fluids, the hormones render your intestines sluggish and bowel movements become erratic. The problem is that the remaining stool becomes very dry and compact, which makes ‘evacuation’ more difficult. Plus, baby cramps your bowel’s style (literally): your little one compresses your intestine, making it harder for it to keep its natural rhythm. Aim for a minimum of 5-6 cups of high fibre foods listed below. Avoid refined foods such as those made from white flour. Fresh fruits: Berries, kiwi fruit, figs, pears, lemons, banana, apples, apricots, and cherries. Dried fruits: Figs, prunes, apricots. Veggies (raw or lightly cooked, with the skin on if possible): Potatoes, broccoli, cabbage, leafy greens, Brussels’ sprouts, beetroot and pumpkin. Grains: Buckwheat and wholemeal flour (and their products), wheat germ, oats, quinoa, millet. If you’re not used to fibre, you’ll become really bloated if you decide to dine on wild rice with a side of steamed broccoli, a green salad, a cup of lentils and some prunes as dessert! Paddle in slowly: add a fibre rich food every day. Loading up on fibre and not drinking enough water may worsen your constipation. Water is essential for softer and bulkier stools. Prune juice can also do the trick. Good sources include fatty fish like salmon, tuna and mackerel (not more than 2 portions a week during pregnancy); avocado; flax and olive oils. These fats will help lubricate the bowel. It can get ‘things’ moving by increasing the blood flow to your bowel. Even a ten-minute walk will do. Iron is a known culprit. Your doctor may suggest a slow-release iron supplement, such as Vitabiotics Feroglobin capsules, if needed. Prolonged constipation can lead to strained bowel movements in an attempt to eliminate the stool. This straining can put undue pressure on the veins in the rectal wall, forming haemorrhoids — enlarged and bulging rectal veins. Haemorrhoids are itchy, downright painful and may bleed but are totally manageable: avoid constipation! If your symptoms persist for too long or are unbearable, please consult your doctor. Amelianova et al (1999) Prevalence and severity of nausea and vomiting of pregnancy and effect of vitamin supplementation. Clin Invest Med. 22(3):106–110. The American College of Obstetricians and Gynecologists (2012) Morning Sickness (Accessed August 2013). 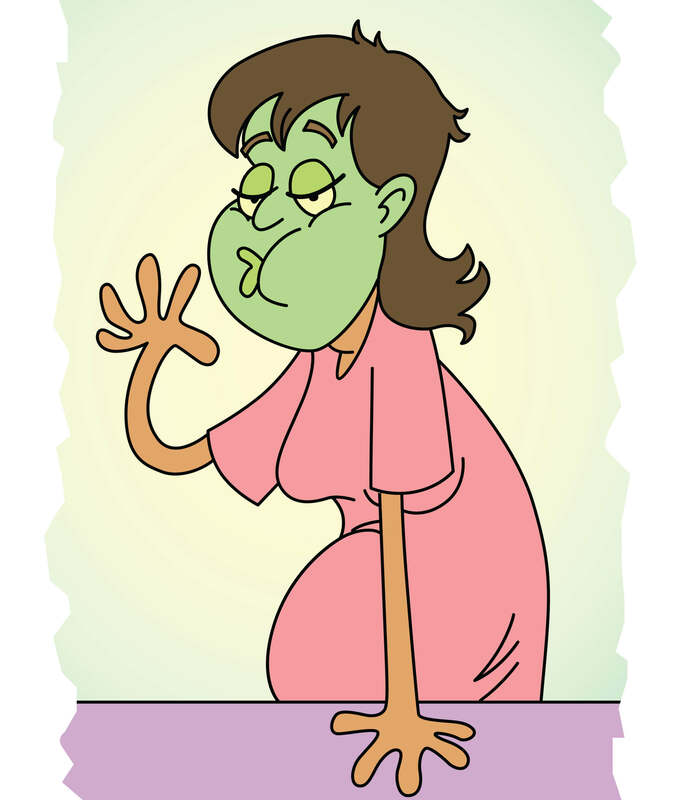 Grundy D (2006) Nausea and vomiting - an interdisciplinary approach. Auton Neurosci. 129(1–2):1-2. The National Digestive Diseases Information Clearinghouse (2010) Hemorrhoids (Accessed August 2013).